How about for August, we go with email list building tech and I’ll do a breakdown of the strategy in general, how to maximize your site for opt-ins, and my tech recommendations for new bloggers and seasoned bloggers who wanna take it to the next level. A common metric that bloggers focus on when measuring the success of their blog is page-views – which literally means how many pages of your blog have been viewed in any given time period. There’s no end to the number of articles on Pinterest all about different tactics to “explode your blog traffic” and increase your page-views. But what’s more important than your number of page-views is what you’re doing to capture that traffic so that you can continue the conversation, create engagement and build the know, like and trust factor needed to actually make money from your blog. And that’s where your email list comes in. I believe that the ultimate purpose of every single piece of content you create for your blog should be to build your email list. All roads should lead to your email list. Why should you focus on building an email list? Your email list is the true value behind your blog. Your email list is algorithm-proof. Your email list is predictable revenue. Your email list is where the value of your blog really lies. I compare social media followers to going out on a group date. You like the person enough to hang out with them in a group where they aren’t getting your undivided attention. But after you hang out long enough and get to know each other better, you invite them to go out – just the two of you. And I compare that to inviting someone onto your email list. It’s just the two of you. It’s more intimate, and you’re building a deeper level of trust. This is a list of people who are going to read your latest blog post, comment and share it on social media. They are going to be the first person to buy that product you’re recommending, or sign up for the course you’re offering. It’s your tribe, your community. If all of your blog content went away tomorrow, you still have a relationship with the people on your email list. Oh, the dreaded algorithm changes. Just when you think you’ve got it figured out, Google, Facebook, and Pinterest announce sweeping changes and your traffic takes a nosedive. That’s never going to happen to your email list. Sure, there are spam filters and open rates to contend with, but you are in control of improving your open rates through consistency, writing better copy and delivering value. You’re not in control of who sees your social media content even if you have the best copy in the world. If your product (or the affiliate product you’re promoting) costs under $50, you can expect between 3% and 7% of your email list to buy. Between $50 – $200, you can expect between 2% – 3% to buy, and over $200, you can expect between 0.5% and 2% to buy. That means you can predict exactly how much money (or affiliate commissions) you’ll make when you send out an email sharing a product or service, and you also can figure out exactly how many email list subscribers you need to make how much money you want to make from your blog. 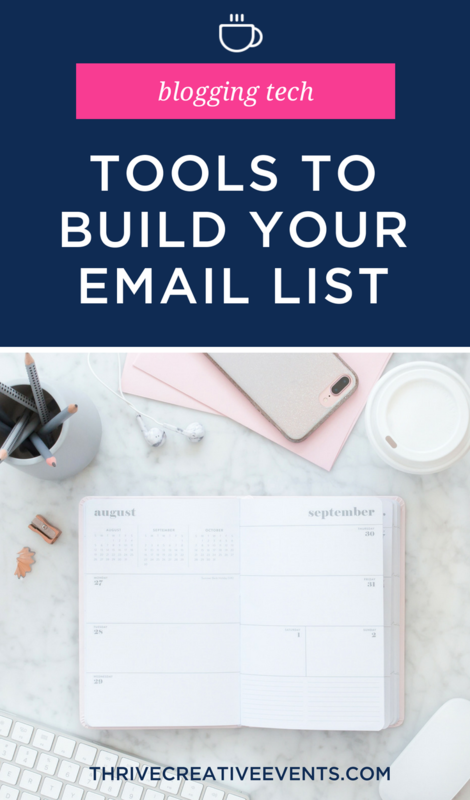 Now that I’ve convinced you that building your email list is crucial to monetizing your blog, here’s a simple yet powerful email list building strategy you can implement on your blog. The biggest mistake I see bloggers make is to put an email opt-in form on their blog inviting their readers to join their newsletter to get the latest updates and happenings. You may get some subscribers, but joining your newsletter or getting updates isn’t tangible, or compelling and you’re leaving so many email subscribers on the table by not having a compelling opt-in offer. You must give something of value away in exchange for an email address, and I personally think it not only should be super actionable and solve a problem, I also think it needs to be shareworthy. Yes, this is a tall order… But your blog leaves clues. Go look at your analytics for your most popular content. What can you create to supplement this content that’s going to solve a problem (or be a life-enhancer) for your reader? And then how can you make it so awesome that they will want to share it with all of their friends? Because people share what makes THEM look good, so how can you create something that makes your reader look like the hero, or the smartest or funniest person in the room when they share it. That’s what to give away in exchange for an email address. Now, you don’t have to create a 5 video training series that teaches someone how to build a self-hosted WordPress site from start to finish like I did… but I have ulterior motives. Like lots of opportunities for affiliate marketing. But if you can monetize your email opt-in freebie, why not? Once you have your freebie, all roads still lead to your email list. This means that you mention it in every blog post and guest post. You put opt-in forms on your homepage, your blog sidebar and your footer. You share it on Pinterest and blow it up on social media. You ask the people who have signed up for it to share it. And it will start to gain momentum and your email list will grow. And then, you’ll make a commitment to email your list weekly – whether you send them your latest blog post or tell them about your most recent sponsorship or collaboration, or simply deliver more value. Consistent communication builds trust. And when you have trust you have loyalty, and the value of your brand increases. You have awesome page views AND an email list? Brands are going to love you. There are SO MANY choices when it comes to email service providers, so the caveat here is that you really can’t make a wrong choice. Pick the one you will actually use – because the ultimate goal here is to take action, not get bogged down in picking the right or wrong tool. They will all work. That being said, I have a couple of recommendations. If you’re just starting to blog, you have just ONE email opt-in freebie and you don’t have a super-clear vision of how you’re going to monetize just yet, but you want to start building an audience right away, I recommend MailChimp. It’s free up to 2,000 subscribers, It’s going to work with just about any blog platform, and it lets you send an automated welcome email upon subscribing. MailChimp will grow with you, although you may find someday you need to move to a more sophisticated platform. No big deal, you can export your list and move on up! If you have multiple email opt-in freebies or content upgrades, or you know that you’ll want to monetize your expertise via an online course in the future, I recommend starting with ConvertKit. Pricing starts at $29/month, and it easily lets you create and deliver multiple freebies and integrates with some of my favorite online course platforms. Sending multiple freebies has historically been harder to do with MailChimp because until recently, you used to need a separate mailing list for each freebie (which means if the same person opted in to 10 freebies, they’d be on your list 10 times) – but recently MailChimp released a tagging option which might allow you to have the person on your list once but with a tag for each freebie. I say “might” because at the time of writing this blog post I haven’t had a chance to research it! There are many choices here too – and they’ll be different depending on your blog platform. If you’re using self-hosted WordPress, I recommend a plugin called Bloom to create a sleek opt-in form above the fold on your homepage (and I show how to set that up in the 5 Day Website Challenge). There are also tools like SumoMe and Hellobar that let you create popups and opt-in bars. MailChimp and ConvertKit also have their own forms that you can embed on your blog. If you’re on SquareSpace or WordPress.com you can pretty easily add an opt-in form to your site and connect your email service provider to it. Make sure the opt-in form is on your homepage, above the fold. That means it’s showing up on the screen without having to scroll. Make sure it’s on every single page, whether it’s a slim opt-in bar across the top of your site or a popup or in your blog sidebar. Mention it as much as possible in your blog posts and add opt-in forms where appropriate. If you hide your opt-in form away, it’s really hard to build an email list. And if your freebie is really good, you’ll want to broadcast it all over your blog! Your reader opts in for your awesome shareworthy freebie. Right after they opt-in, they are redirected to a Thank You page that tells them to go check their email for their freebie and lets them know where the best place to follow you on social media is, or tells them about your podcast, whatever. Bonus Tip – set up a Goal in Google Analytics to track conversions (How many people visited the page vs. how many opted in and got sent to this Thank You page. The goal URL is this Thank You page. Then, in the very first email you send them, you deliver the freebie – and you ask them to hit reply and asked them what compelled them to download your freebie. The following day, you send another email that shares a little bit about you plus links to any other resources or blog posts they might find useful. You’re delivering more value. And then the next day, you can invite them to purchase your e-book on the topic, or invite them to your webinar or anything else you’re doing – and if you’re not doing anything yet, that’s okay, just let them know what to expect from you. Will you be sending them a weekly email? Going live in your FB group daily? Whatever it is, let them know how you plan to continue to deliver value to them. This builds trust and builds a relationship so that when you do have something to offer in exchange for money, it’s not icky to ask. So to recap, your email list is crucial to monetizing your blog. 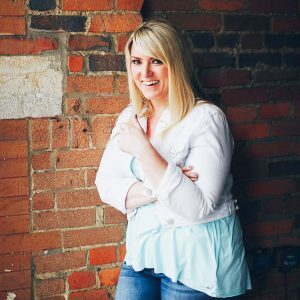 You can set yourself apart from every other blogger out there and leverage all the traffic you’re working so hard to generate by creating a shareworthy freebie to build your list, and you’ll build the know, like and trust factor by focusing on building a relationship with your new subscribing and then showing up consistently in their inbox! If you want to learn the tech behind setting up your email list, then I invite you to sign up for the Free 5 Day Website Challenge (http://www.wp-bff.com) and on Day 3 I’ll break it all down for you. You can also watch my free webinar, “So you have a website, now what? Three simple steps you can take today to get more traffic, more subscribers and more customers” (http://www.wp-bff.com/nowwhat) to learn more about email marketing! Such valuable info in this! I second the recommendation for SumoMe – they offer so, so much even with their free plan. I LOVE ConvertKit and wish I could justify the $29/month because I just feel like it works the way my brain works, bless its little heart, in terms of setting up tags and triggers. I use Mailchimp and while it typically works just fine for me, I’m currently in a situation where I want to automatically add a tag when a user completes an action, but alas…. I can’t seem to figure it out. As with everything in Mailchimp, though, I know once I figure it out, it’ll be something pretty simple.